Bruce is believed to have played the song 2 times in the early years. The only surviving recording is from 1972, during the Bruce Springsteen Band period. One show, with The Bruce Springsteen Band the sole act on the bill. "Sitting on Top of the World" (also "Sittin' on Top of the World") is a country blues song written by Walter Vinson and Lonnie Chatmon. 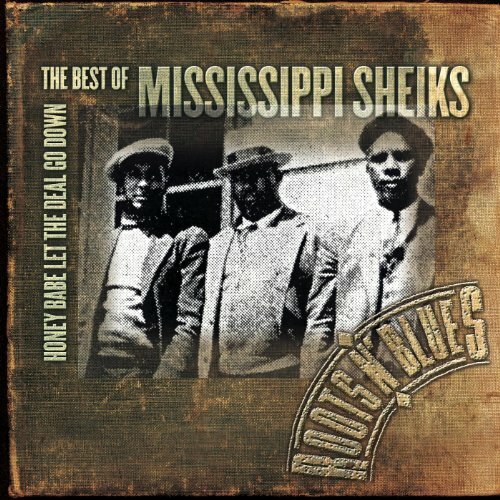 They were core members of the Mississippi Sheiks, who first recorded it in 1930. Vinson claimed to have composed the song one morning after playing at a white dance in Greenwood, Mississippi. It became a popular crossover hit for the band. "Sitting on Top of the World" has become a standard of traditional American music. 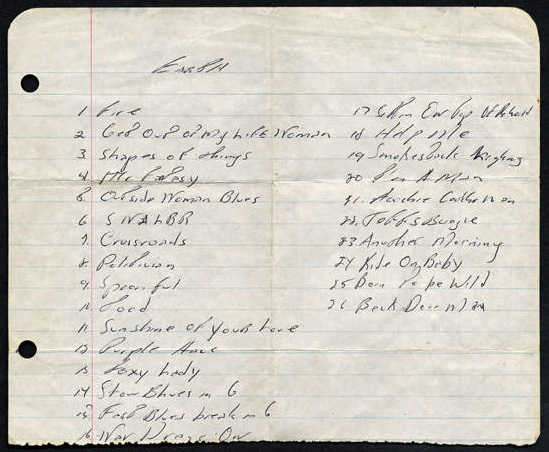 The song has been widely recorded in a variety of different styles – folk, blues, country, bluegrass, rock – often with considerable variations and/or additions to the original verses. The lyrics of the original song convey a stoic optimism in the face of emotional setbacks, and the song has been described as a "simple, elegant distillation of the Blues". The title line of "Sitting on Top of the World" is similar to a well-known popular song of the 1920s, "I'm Sitting on Top of the World", written by Ray Henderson, Sam Lewis and Joe Young (popularised by Al Jolson in 1926). However the two songs are distinct, both musically and lyrically. Similarities have also been noted that "Sitting on Top of the World" was derived from an earlier song by Leroy Carr and Scrapper Blackwell, "You Got To Reap What You Sow" (1929). Charlie Patton (with altered lyrics) called "Some Summer Day"
Why should I worry and prayer in vain? Why should you beg me and say goodbye?